My goal is to take an ad, artwork, or account from the 18th century and use an 18th century merchant, or several merchants to make the look come to life. Making it happen is the focus of this section of articles. I will try to post them periodically. This post highlights products found at Wm Booth Draper. I am also releasing one focused on Burnley and Trowbridge today. Many people who are newer to the hobby want to better understand how to make an outfit that matches a period account. As with everything, there are a lot of layers to an ad, an artwork or to a period account. While people are aware of this, it does not make it any easier to do. I am using some of my favorite sellers of textiles in the hobby to share possibilities of what you could use to produce the clothing in the ads. Maybe in doing so I will help someone on their journey. I am not an 18th century fashion or textile expert. I need to say this because there are some amazing people out there (including the merchants) who have been doing research for years. This is meant as an aid. Consult with others before making purchases. 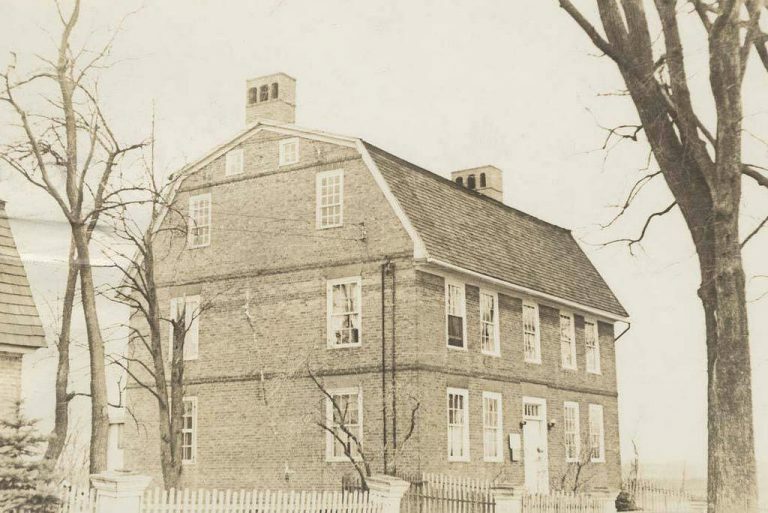 It is 1769. Nathaniel Hayden, master of the runaway apprentice, is a farmer, a tanner and a shoemaker. John Mather, the runaway, is most probably the son of Nathaniel Mather. John is indentured in order to learn a trade. He is said to be a young man of “means and spirit”. This apprenticeship will give him a profession. It helps ensure his future income in the trade center of Windsor, a river town, for years to come. John Mathers apparently has some problems during his indenturement. He ran away in April of 1769. The above ad, without changes, is placed in the Hartford Courant several times over the next couple months. I know that John Mather is found because of a record of marriage in 1775. He is married to Abigail Russel, known as “the Belle of Windsor”, an accomplished and educated young woman with a mind of her own. Her father has Tory leanings while the Mathers are Patriots. Her father agrees to the union despite the two families ideological differences. I am sure the “handsome well set fellow” with the “dark brown hair, and light complexion” was very happy to have Abigail as his bride. However, the marriage was not a long one. John Mather joined the Revolution as a patriot and died in Kingston, NY in 1782 while in the service. Let’s bring John Mather’s look to life. Homespun is not a nappy poorly made fabric. The perception of homespun being rough and made in every home is because of the 19th century looking back to “the good old days”. My current understanding is that homespun just means it was domestically produced. Although he is apprenticed to another family, John Mather is from a family of means. They live in a river port town where trade is common. He can find a good homespun fabric. This brown wool is a beautiful chocolate brown color. It will make a very nice coat. This coat requires buttons. Lots of buttons. I need at least 10 for the front. If I want to get some for the pockets or sleeves I have to add that onto the number I need. I am going to get 1″ wooden molds and cover them with fabric. If the fabric were pale and thin I would get the bone ones, but it is not. Covering the molds is pretty easy to do, I like the look of the fabric covered buttons and it is common. Mix’t fabrics are a nice way to add a little color and texture to an ensemble. I absolutely love this fabric. The mix’d with a hint of a happy blue is simple, and pretty at the same time. Kersey is commonly found in advertisements. I like this fabric so much that I considered purchasing some to make a modern jacket for myself. When you see this jacket think waistcoat. You can sleeve it or leave it unsleeved, but the words “jacket” and “waistcoat” seem interchangeable. If someone knows otherwise feel free to contact me. I am taking a waistcoat class in a couple months, and I will be sure to ask about it and post an update. Once again, I need buttons. 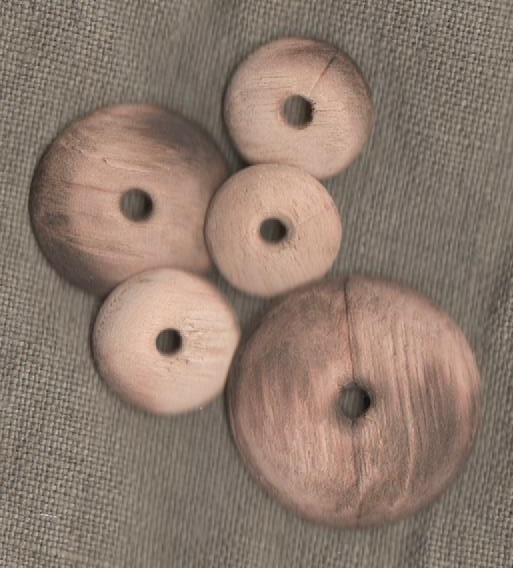 This time it is ten 3/4″ to 1″ pewter buttons, plus whatever buttons I want on the pockets (if any). New Check linen Pre-order NOW! If you did not already know, Wm Booth Draper has a custom check fabric based on originals, and they are working on releasing another. This check I am using for the shirt is still not in production. I have an image of it here so that you are encouraged to pre-order some. 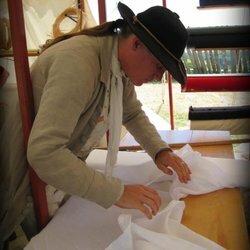 Let’s encourage the 18th century textile merchants to continue providing us with reproductions, and show them our dedication to more accuracy and variety in the hobby. Check shirts are commonly worn by men who are performing labor. A shirt needs something to hold the cuffs together. All levels of society used sleeve buttons or ties through button holes on both sides of the cuff. I think they add a little something to the outfit with the design on the front. Still simple, but not completely plain. The most common breeches for those working a trade were leather breeches. Think of them as the blue jeans of the period. Leather breeches are made differently than normal breeches. I do not expect most people in the hobby to make a set. So what is a good alternative for the leather breeches in this ad? I think that the best route is to either use one of the wools above to make the breeches, or buy some drilling. The nice thing about drilling is that it is also commonly worn by soldiers. It gives you an item that can be worn for both civilian and military portrayals. 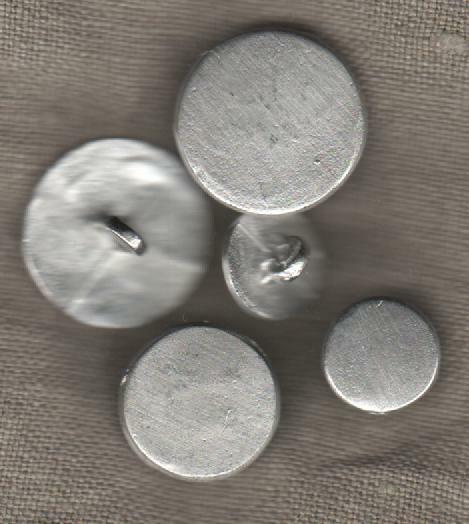 For the drill breeches I am going to once again purchase the pewter buttons. This is where the buttons get crazy. I will need 2-3 of the 1″ buttons for the front center. Then I will need 2 of the smaller 5/8″ for the front flap. Depending on how I do pockets I may need 2 for them, and maybe one for a watch pocket. Then you have to put 4-5 of the 5/8″ on each leg, so that is 8-10 more of the 5/8″. This gives us a total of 12-15 of the smaller 5/8″ and 2-3 of the 1″ button. Don’t forget the knee buckles. Although there are images of the leg band with ties, and others where the buckles are left off, you still should have a set in most cases. 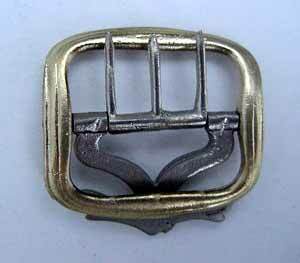 Either wear them on your knees, or if you are working and take the buckles off, keep them on your person. I almost always use unbleached linen thread (bigger the number the finer it is). Make sure to wax the thread all the way up and down before sewing with it. Waxing helps to prevent breakage and tangling. Because sewing should be an enjoyable process look into good needles. Tailors needles are a lot nicer to use than the less effective ones you find at Walmart. Now that we have covered what we know he wore, what about the accessories. We are not sure what head covering he is wearing. Sarah will have the answer. I have to admit I think Sarah is pretty darn amazing. She makes the most beautiful striped caps in the hobby, and she is still just a teen. Want to be daring? You can also knit your own using their wool and mitt and cap knitting instructions created by Mara Riley. Call them for advice on yarn and pattern choices. If you do not know how to knit now is the time to learn. Youtube is how I learned to knit. Knit headwear is common in the time period and not seen often enough at reenactments. It is also less expensive than a well blocked felted hat. The only well blocked hat in the 18th century is a round blocked hat. Don’t forget to pick up wool stockings with your order. They have a number of colors though I lean toward the white and blue. I believe those are the two colors I see most often in documentation for the period. This covers just few of the products sold by this merchant. I hope that it has helped your understanding of how to go about looking for what you need using the Wm Booth Draper site. Enjoy your season!